If you’ve ever run an event that accepts proposals for presentations, or tracked down certificates for membership applications, you’ve probably had to send hundreds of emails requesting these documents, or filed dozens of paper copies. For many organizations, collecting documents and images from members and event registrants can take up valuable time. If that sounds like your experience, our new attachments feature is here to make those processes easier. This feature allows you and your members to upload and edit documents and images directly to your Wild Apricot event registrations, member applications, donations, email subscriptions and member profiles. Read on for some ideas and to learn how to get started! What Can You Do With Attachments? With the attachments feature you can make it a requirement to submit certain documents — that means no more wasted time chasing paperwork. And because they’re directly uploaded to Wild Apricot, you can also easily see which files relate to each member. It can even be used by your members to share photos on their profile page, or as a way of issuing certificates. 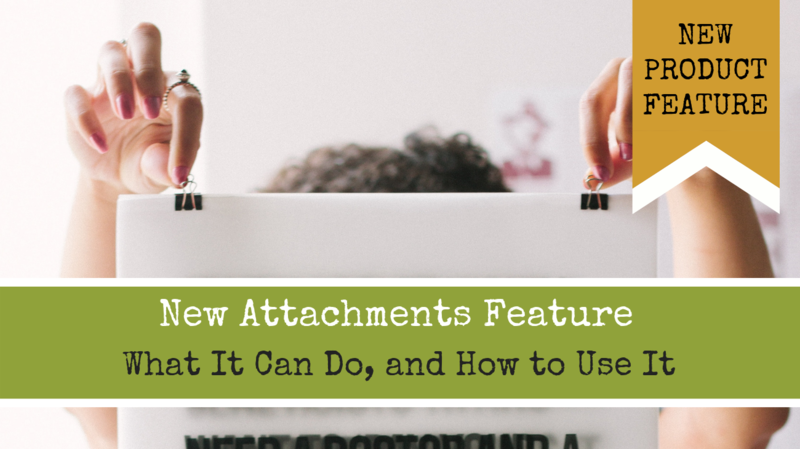 The option to add attachments to forms and profiles might sound like a small change, but there are lots of different ways this feature can be used by admins, members and registrants. It helps make key processes like member applications and event registrations run more smoothly, and solves several requests on our Wishlist forum. There are several ways you can enable members or visitors to upload files as attachments — all involve adding a file attachment field. Step 1 — Add an attachment field to the relevant form. Select the event you want to add the field to in the Event list. Click the Registration form tab, and then click Edit. Click Add new field, then follow Step 2. Select Membership fields under the Members menu. Select Common fields under the Contacts menu. Step 2 — Set up your file attachment field. Under Type, click File attachment. In the Field label field, enter the label you want to display on the form for this field. If you want this field to be mandatory, check the Required field checkbox. You can limit the visibility of the field — eg. so that only administrators can upload and view files — and limit who can edit or view files. For detailed instructions on how to do this, see our Help page. For all field types, you have the option of entering field instructions that will appear below the field on the form. Once you are finished setting your field options, click the green Save all changes button at the top. To add an attachment, your members or visitors just need to click Choose files and select from the files on their device. Depending on the options you set for file management, they may be able to edit or delete these attachments later. What types of files can I attach? The supported document formats are: TXT, PDF, DOC, DOCX, XLS, XLSX, PTT, PPTX, ZIP, CSV. The supported image formats are: JPG, JPEG, GIF, PNG, TIF, TIFF. Is there a limit to the number of files I can attach? On forms you can upload up to 20 files for each attachment field, with each file a maximum of 20 MB. There is no limit to the number of files that can be attached to a member profile, and file attachments do not count towards your site storage limit. Can I attach files in a forum? Yes. When adding or replying to forum topics, members can attach up to 20 documents and images, with each file a maximum of 20 MB. For more information, see our Help page.